An Eye Shadow Palette in fifteen warm shades: Hey, Warm Breeze, Gingersnap, Dark Brew, Dance in the Dark, Brule, Vanilla Extract, Honey Lust, Amber Lights, Saddle, Lemon Tart, Butterfudge, Creative Copper, Unwind, and Divine Decadence. The highly pigmented powder formula applies evenly, and blends beautifully. 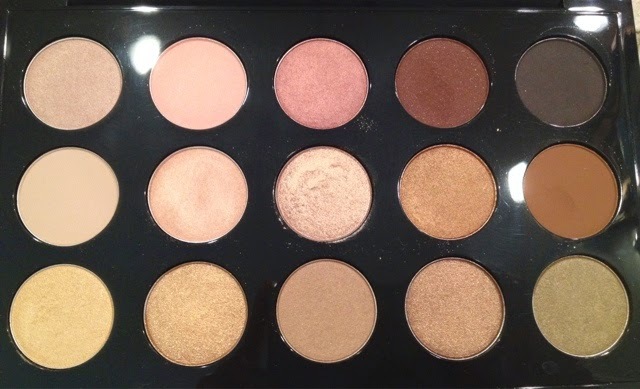 This is a great palette for every eye color! Especially those blue/green eye'd gals. I prefer a warm neutral palette to cool colors. I think it's just soft and feminine. I'm never a big fan of harsh black/silver colors on anyone. It's the perfect combo. 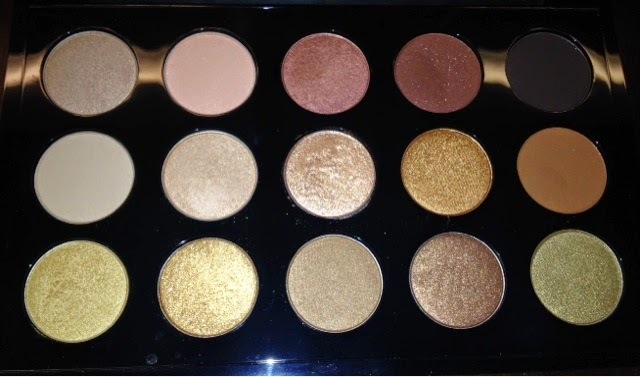 Some of my favorites in this palette are Brule, Honey Lust, Amber Lights, and Saddle. If you're wanting to start a MAC palette collection but don't even know where to start - this comes with all the shadows inserted in the palette and ready to go. The cost is $100 which sounds like a lot - but - if you tried to make this on your own it would cost $150 for the shadows alone. Below are 2 pics in different lighting. As usual - it's better in real life!